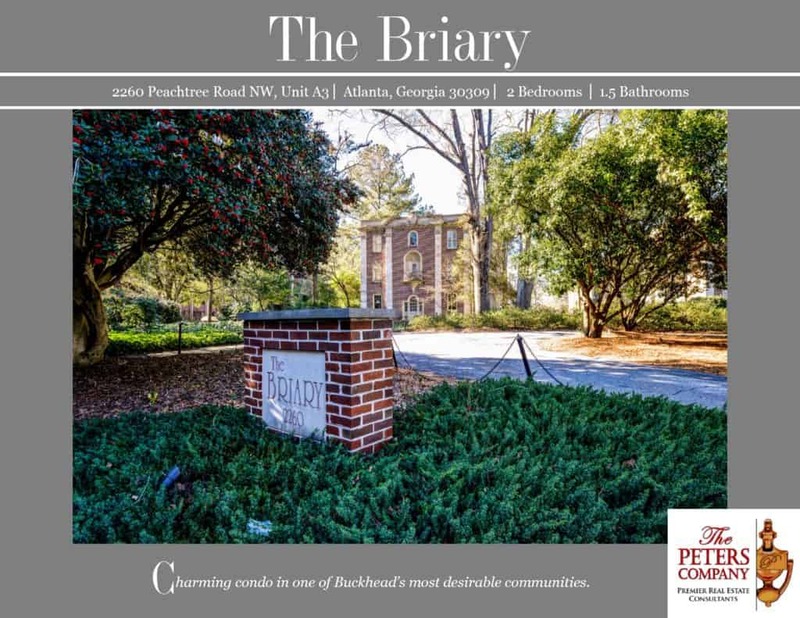 Just Listed :: Charming Condo at The Briary in Buckhead! Welcome home! This charming condo in The Briary is just what you’ve been looking for! The flowing floor plan, custom features, and charming character of this unit will never go out of style. The close proximity to I-75, I-85, and Peachtree Road makes virtually all commutes a breeze! You’ll truly love being in the middle of it all including all of your favorite Buckhead restaurants and shopping spots! Light and bright kitchen features ample cabinet and counter space. Living room boasts a cozy gas fireplace and beautiful built-in bookcases. Separate dining room is perfect for entertaining and features built-ins and a window seat. Gleaming hardwood floors, crown molding, and tall ceilings are carried throughout. Spacious bedrooms share a Jack and Jill style bathroom and are well-sized and bright. Half bathroom is ideal for guests. Sun porch provides wonderful additional living space. Gated and covered parking available. Building features a quiet courtyard and plenty of guest parking. Great location convenient to interstates, shopping, restaurants, Piedmont Hospital, and the Beltline.